Once the order is shipped by the supplier and fulfilled in Oberlo, the shipping confirmation email with a tracking code can be automatically sent to the customers. To send emails automatically, go to Oberlo > Settings > Store Settings and follow these steps. 1. Enable the "Notify my customers" setting. 2. Add the package tracking website URL. You can add http://www.17track.net/?nums= or any other package tracking website URL. 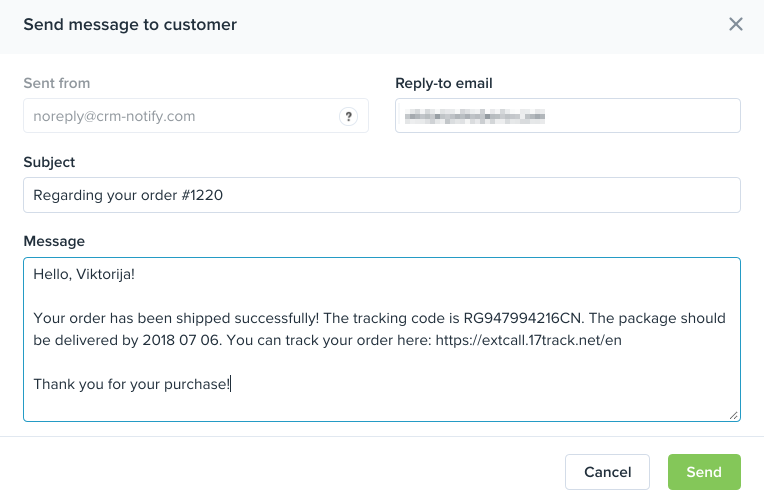 By doing this, your customers will be able to click on the tracking code in the notification email, and will automatically be directed to the specific website to see the status of their shipment. If you leave this setting empty, your customers will need to manually copy the tracking in the notification email, go to any package tracking website and paste the tracking code to see the shipment status. 3. Change the Shopify's email notification template as the default version does not have the tracking URL added. Go to Settings > Notifications > Shipping Confirmation template, remove all code and replace it with the one that is attached below. You can find the shipping confirmation template code HERE. That's it! From now on, when your order is fulfilled with Oberlo, your customers will receive a notification letter, that their order has been shipped and the tracking information. You can resend the shipping confirmation email from the Orders page by clicking the “Resend email” button. Some customers prefer to get their order updates through SMS messages. 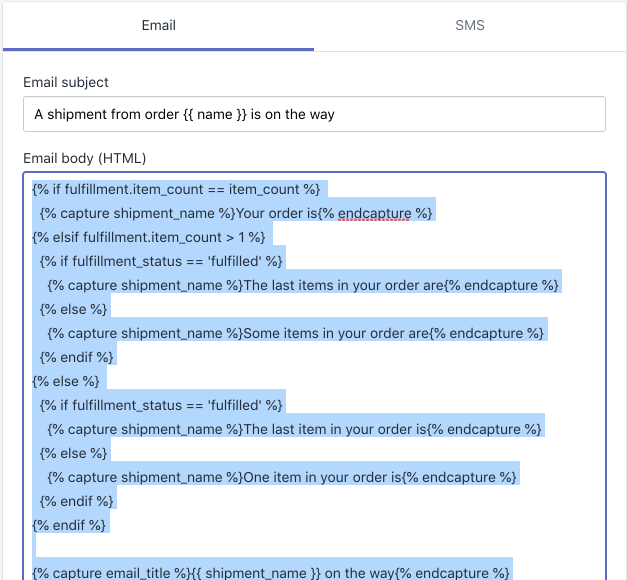 Even though the tracking number would not be hyperlinked, you can add the tracking code to the SMS messages. You can find the SMS shipping confirmation template code HERE. However, as for the orders you fulfilled before, you will have to send messages about the orders shipped to your customers manually. You can do this directly on the Orders page in Oberlo by clicking the envelope icon next to the order.